Our beloved, Kenneth Stanfield Wasilewski, transitioned from this earthly life on Monday, November 12, 2018 at the Sentara Albemarle Medical Center. No services are planned at the time. A native of Pasquotank County, he was born Feburary 13, 1952 to the late Joseph Francis Wasilewski an Nell Ann Wasilewski. 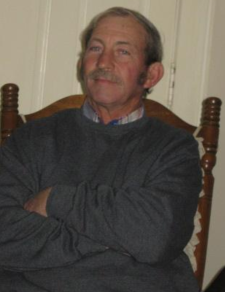 He is survived by his five children, Joey Wasilewski, Chris Wasilewski(Lynnette), Hollie Pike, Amanda Wasilewski, and Kevin Wasilewski; ten grandchildren, Hollie Wasilewski, Paige Bohne, C.J Wasilewski, Sabrina Wasilewski, Cameron O'Briant, Alex O'Briant, Ayden Pike, Tyler Pike, Bailee Williams, Damon Wasilewski, an one great grandchild Connor Bohne.